Compared to even a large paintbrush, using a roller is such an easy way to paint a large area! Especially if you paint your walls flat on the ground before nailing them up. But rolling comes with its own set of drawbacks. 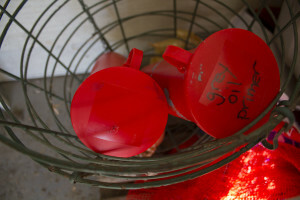 The biggest is that your rollers can dry out and become practically unusable if stored improperly. Painting with a crusty roller is like trying to brush your teeth the wrong end of a toothbrush – frustrating and pointless. We used to wash rollers by hand after every day of painting to prevent them from going crusty overnight. Washing every day takes time and wastes paint! After having to throw several improperly washed ones away, we now store used rollers in airtight paint roller sleeves we found at the hardware store. Washing isn’t necessary anymore but of course we need a separate roller and roller keeper for each color of paint. That’s fine if you are painting every room the same color. 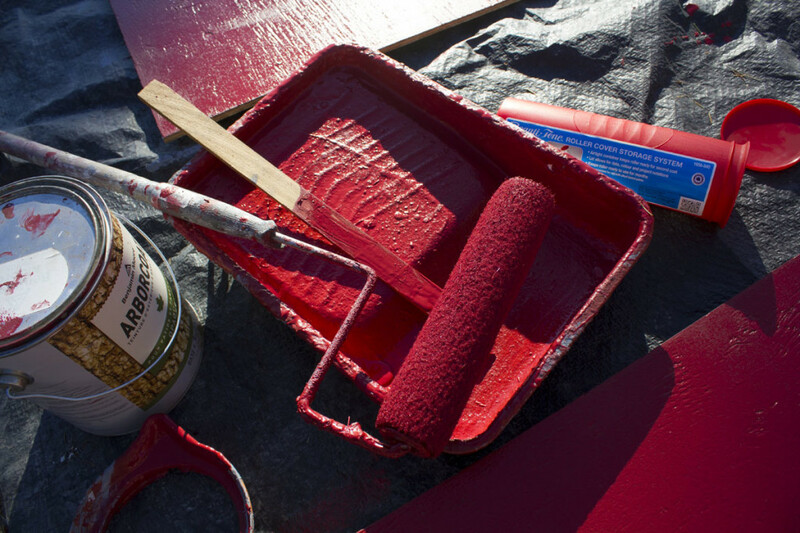 We use only two – one for primer, one for barn red. 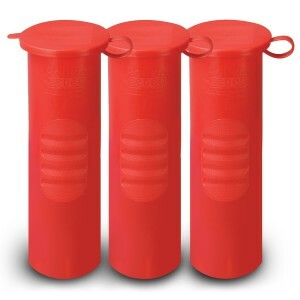 Storing a paint roller is made easier by a series of plastic spikes inside the device which grip the roller as you squeeze to pull the roller off. Capped properly, the paint rollers stay moist for weeks. 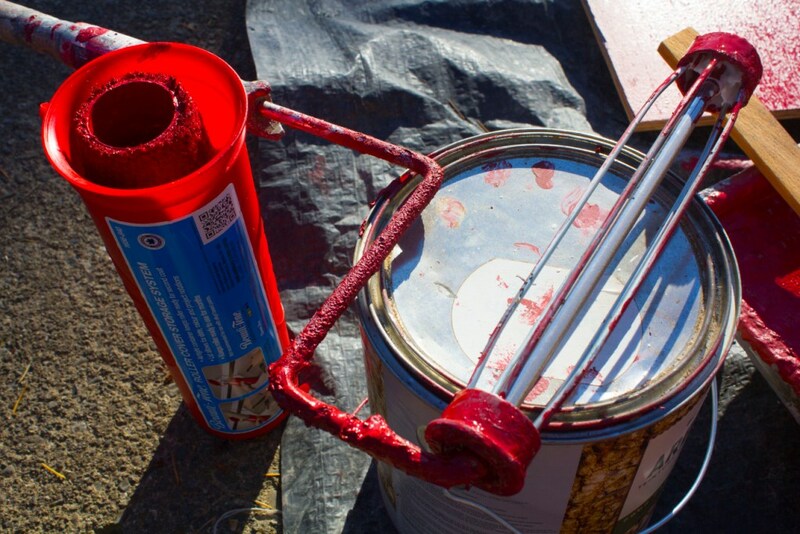 The better your paint roller is held in place by its handle, the harder it is to remove with the built-in spikes. And for some reason the spikes run top-to-bottom instead of left-to-right. Ours grips very tightly so we pull it off with a plastic grocery bag instead, then slip it into its sleeve. This roller sleeve is a recent invention, but already you can find it in paint and hardware stores everywhere. We found ours at Rona. If you can wait a few days, you’ll usually get a better deal buying them from Amazon. Saran wrap. Air tight and will work for brushes too.